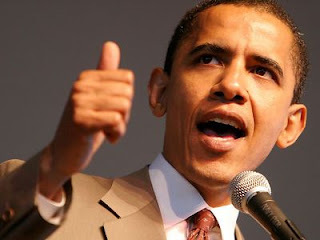 Illinois voters sent a Democratic newcomer, Barack Obama, to one of the state's two seats in the U.S. Senate in 2004. Obama's landslide victory in Illinois was significant on several fronts. Firstly, he became the Senate's only African American lawmaker when he was sworn into office in January 2005, and just the third black U.S. senator to serve there since the 1880s. Moreover, Obama's political supporters came from a diverse range of racial and economic backgrounds, which is still relatively rare in American electoral politics—traditionally, black candidates have not done very well in voting precincts where predominantly non-minority voters go to the polls. Even before his Election Day victory, Obama emerged as the new star of the Democratic Party after delivering the keynote address at the Democratic National Convention in Boston, Massachusetts that summer. His stirring speech, in which he urged a united, not a divided, American union, prompted political commentators to predict he might become the first African American elected to the White House. Obama is actually of mixed heritage. He was born in 1961 in Honolulu, Hawaii, where his parents had met at the University of Hawaii's Manoa campus. His father, Barack Sr., was from Kenya and entered the University of Hawaii as its first-ever student from an African country. He was a member of Kenya's Luo ethnic group, many of whom played a key role in that country's struggle for independence in the 1950s. Obama's mother, Ann Durham, was originally from Kansas, where some of her ancestors had been anti-slavery activists in the 1800s. The marriage between Obama's parents was a short-lived one, however. In the early 1960s, interracial relationships were still quite rare in many parts of America, and even technically illegal in some states. The Durhams were accepting of Barack Sr., but his family in Kenya had a harder time with the idea of his marryinga white American woman. When Obama was two years old they divorced, and his father left Hawaii to enter Harvard University to earn a Ph.D. in economics. The two Baracks met again only once, when Obama was ten, though they did write occasionally. Barack Sr. eventually returned to Kenya and died in a car accident there in the early 1980s. Obama's mother remarried a man from Indonesia who worked in the oil industry, and when Obama was six they moved there. The family lived near the capital of Jakarta, where his half-sister Maya was born. At the age of ten, Obama returned to Hawaii and lived with his maternal grandparents; later his mother and sister returned as well. Called "Barry" by his family and friends, he was sent to a prestigious private academy in Honolulu, the Punahou School, where he was one of just a handful of black students. Obama recalled feeling conflicted "In no other country on earth is my story even possible." About his mixed heritage in his teen years. Outside the house, he was considered African American, but the only family he knew was his white one at home. For a time, he loafed and let his grades slip; instead of studying, he spent hours on the basketball court with his friends, and has admitted that there was a time when he experimented with drugs, namely marijuana and cocaine. "I was affected by the problems that I think a lot of young African American teens have," he reflected in an interview with Kenneth Meeks for Black Enterprise. "They feel that they need to rebel against society as a way of proving their blackness. And often, this results in self-destructive behavior." Obama graduated from Punahou and went on to Occidental College in Los Angeles, where he decided to get serious about his studies. Midway through, he transferred to the prestigious Columbia University in New York City. He also began to explore his African roots and not long after his father's death traveled to meet his relatives in Kenya for the first time. After he earned his undergraduate degree in political science, he became a community organizer in Harlem—but quickly realized he could not afford to live in the city with a job that paid so little. Instead, he moved to Chicago to work for a church-based social-services organization there. The group was active on the city's South Side, one of America's most impoverished urban communities. Feeling it was time to move on, Obama applied to and was accepted at Harvard Law School, one of the top three law schools in the United States. In 1990, he was elected president of the Harvard Law Review journal. He was the first African American to serve in the post, which virtually assured him of any career path he chose after graduation. But Obama declined the job offers from top Manhattan law firms, with their starting salaries that neared the $100,000-a-year range, in order to return to Chicago and work for a small firm that specialized in civil-rights law. This was an especially unglamorous and modest-paying field of law, for it involved defending the poor and the marginalized members of society in housing and employment discrimination cases. Obama also had another reason for returning to Chicago: During his Harvard Law School years, he took a job as a summer associate at a Chicago firm, and the attorney assigned to mentor him was also a Harvard Law graduate, Michelle Robinson. The two began dating and were married in 1992. Robinson came from a working-class black family and grew up on the South Side; her brother had excelled at basketball and went to Princeton University, and she followed him there for her undergraduate degree. Obama also considered Chicago a place from which he could launch a political career, and he became active in a number of projects in addition to his legal cases at work and another job he held teaching classes at the University of Chicago Law School. He worked on a local voter-registration drive, for example, that registered thousands of black voters in Chicago; the effort was said to have helped Bill Clinton (1946–) win the state in his successful bid for the White House in 1992. Obama's time at the Law Review had netted him an offer to write a book. The result was Dreams from My Father: A Story of Race and Inheritance, published by Times Books in 1995. The work merited some brief but mostly complimentary reviews in the press. Obama, however, was not hoping for a career as an author: he decided to run for a seat in the Illinois state senate. He ran from his home district of Hyde Park, the neighborhood surrounding the elite University of Chicago on the South Side. Though Hyde Park is similar to many American college towns, with well-kept homes and upscale businesses, the surrounding neighborhood is a more traditionally urban one, with higher levels of both crime and unemployment. Obama won that 1996 election and went on to an impressive career in the Senate chambers in Springfield, the state capital. He championed a bill that gave tax breaks to low-income families, worked to expand a state health-insurance program for uninsured children, and wrote a bill that required law enforcement officials in every community to begin keeping track of their traffic stops and noting the race of the driver. This controversial bill, which passed thanks to Obama's determined effort to find support from both political parties in the state Senate, was aimed at reducing incidents of alleged racial profiling, or undue suspicion turned upon certain minority or ethnic groups by police officers on patrol. He also won passage of another important piece of legislation that required police to videotape homicide confessions. Obama made his first bid for U.S. Congress in 2000, when he challenged a well-known black politician and former Chicago City Council member, Bobby Rush (1946–), for his seat in the U.S. House of Representatives. Barack Obama became the fifth African American senator in U.S. history in 2005. He was only the third elected since the end of the Reconstruction, the period immediately following the end of the American Civil War (1861–65; a war between the Union [the North], who were opposed to slavery, and the Confederacy [the South], who were in favor of slavery). During the Reconstruction Era, federal troops occupied the defeated Southern states and, along with transplanted government officials, one of their duties was to make sure that newly freed slaves were allowed to vote fairly and freely in elections. Before 1913 and the passage of the Seventeenth Amendment to the U.S. Constitution, members of the U.S. Senate were not directly elected by voters in most states, however. Instead they were elected by legislators in the state assemblies, or appointed by the governor. Still, because of the Reconstruction Era reforms, many blacks were elected to the state legislatures that sent senators to Washington. In 1870, the Mississippi state legislature made Hiram Rhoades Revels (1827–1901) the state's newest senator and the first black ever to serve in the U.S. Senate. Revels was a free-born black from North Carolina and a distinguished minister in the African Methodist Episcopal Church who had raised two black regiments that fought on the Union side during the Civil War. He served in the Senate for one year. In 1875, Mississippi lawmakers sent Blanche K. Bruce (1841–1898) to the U.S. Senate. A former slave from Virginia, Bruce was a teacher and founder of the first school for blacks in the state of Missouri. After the end of the Civil War, he headed south to take part in the Reconstruction Era. He won election to local office as a Republican, and in 1875 lawmakers sent him to the U.S. Senate. He served the full six-year term. In 1881, he was appointed a U.S. Treasury official, and his signature was the first from an African American to appear on U.S. currency. Nearly a hundred years passed before another African American was elected to the Senate, and this came by statewide vote. Edward William Brooke III (1919–), a Republican from Massachusetts, was elected to the U.S. Senate in 1966 and served two terms. In 1992 another Illinois Democrat, Carol Moseley Braun (1947–), became the first African American woman to serve in the U.S. Senate. 1960s radical who had founded the Illinois chapter of the Black Panther Party, a revolutionary black nationalist party of the era. Rush's campaign stressed his experience and questioned Obama's support base among wealthier white voters in the city, and Obama was solidly defeated in the primary, winning just 30 percent of the vote. A few years later, Obama decided to run for a seat in the U.S. Senate when Illinois Republican Peter G. Fitzgerald (1960–) announced he would retire. Some of Obama's supporters thought he was aiming too high, but this time he beat out six other Democratic challengers in the primary with 53 percent of the vote. Suddenly, state and even national Democratic Party leaders began taking him and his Senate campaign seriously. In the primary, he had managed to do what few African American politicians had ever done: record an impressive number of votes from precincts that had a predominantly white population. In his 2004 Senate race, Obama faced a tough Republican challenger, however: a former investment banker turned parochial-school (school supported by a church parish) teacher named Jack Ryan (1960–). Ryan was blessed with television-actor good looks and had even once been married to Boston Public star Jeri Ryan (1968–). But Jack Ryan was, like one of Obama's earlier primary opponents, derailed by allegations about his personal life. Chicago news outlets publicized Ryan's divorce documents from 1999, which revealed one or two incidents that seemed distinctly at odds with a Republican "family values" platform. Ryan dropped out of the race, but the Republican National Party quickly brought in talk-show host Alan Keyes (1950–), who changed his home address from Maryland to Illinois to run against Obama. Keyes was a conservative black Republican who twice had made a bid for the White House, but he worried some voters with his strong statements against homosexuality. Obama, by contrast, was winning public-opinion polls among every demographic group that pollsters asked. He was even greeted with rock-star type cheers in rural Illinois farm towns. Many of these small-town voters recognized that the manufacturing operations of many U.S. industries were rapidly being moved overseas thanks to free-trade agreements that eliminated tariffs (taxes) and trade barriers between the United States and Mexico; another free-trade agreement was in the works for Central America. The result was a dramatic decline in U.S. manufacturing jobs. Obama's campaign pledged to stop the outsourcing of such jobs to overseas facilities. But Obama suddenly found himself in the national spotlight, when John Kerry (1943–), expected to win the Democratic Party's nomination for president at the Democratic National Convention in July 2004, asked Obama to deliver the convention's keynote address. The keynote speech is expected to set the tone of the political campaign, and those chosen to give face tremendous expectations. "That makes my life poorer"
Obama did not disappoint that evening. His speech, which he wrote himself and titled "The Audacity of Hope," was stirring and eloquent, and quickly dubbed by political analysts to be one of the best convention keynote addresses of the modern era. He earned several standing ovations during it, and Obama's confident, assured tone was broadcast to the rest of the nation. Cameras occasionally scanned the crowd to show tears on the faces of delegates. Obama praised Kerry's values and experience, and he reminded delegates and the national television audience that the country's strength came from unity, not division—that Americans had created a thriving nation out of many diverse ethnic groups and ideologies in its 228-year history. Economic policies aimed at providing a better life for everyone, not just a privileged few, was the American way, he said. "If there's a senior citizen somewhere who can't pay for her prescription and has to choose between medicine and the rent, that makes my life poorer, even if it's not my grandmother," he told the crowd. "If there's an Arab American family being rounded up without benefit of an attorney or due process, that threatens my civil liberties. It's that fundamental belief—I am my brother's keeper, I am my sister's keeper—that makes this country work." Obama's speech, analysts said almost immediately, struck a hopeful, healing tone for a drastically divided nation and what had become a bitter, insult-heavy presidential contest. Obama, asserted Time 's Amanda Ripley, "described a country that America wants very badly to be: a country not pockmarked by racism and fear or led by politicians born into privilege and coached into automatons [robotic behavior]." Others called it one of the best political speeches of the century. Some newspaper and magazine editorial writers predicted that the rising star from Illinois would emerge a strong leader in the Democratic Party over the next few years, and could even run for president in 2012 or 2016. Obama won his bid for the Senate a few months later by a large margin, taking 70 percent of the Illinois vote against just 27 percent for Keyes. At just forty-three years old, he became one of the youngest members of the U.S. Senate when he was sworn into office in January 2005. The first major piece of legislation he introduced came two months later with the Higher Education Opportunity through Pell Grant Expansion Act of 2005 (HOPE Act). Its goal was increase the maximum amount that the federal government provides each student who receives need-based financial aid for college. In the 1970s and 1980s, Pell grants often covered nearly the entire tuition cost— excluding room, board, and books—at some state universities. But because they had failed to keep pace with risingtuition costs by 2005 they covered, on average, just 23 percent of the tuition at state schools. Obama and his wife have two young daughters, Malia and Sasha. Instead of moving to Washington, Michelle Robinson Obama remained in Chicago indefinitely with the children and kept her job as a hospital executive. Television personality Oprah Winfrey (1954–) interviewed Obama not long after the Democratic National Convention and asked him how he became such an eloquent public speaker. He replied that he knew from an early age that he had a career in the persuasive arts—be they legal or political—ahead of him. "I always knew I could express myself," he said in O, The Oprah Magazine. "I knew I could win some arguments. I knew I could get my grandparents and mom frustrated!"